Home iPhone5 Photos Rumors Rumours Will We See 3D In iPhone 5? 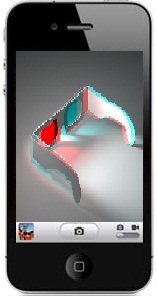 Will We See 3D In iPhone 5? ”Apple is looking for a Computer Vision specialist to strengthen its multi-view stereo research group. As a member of this team you should have a genuine interest in technology and be a skilled developer with knowledge and experience in Computer Vision, Image Analysis and 3D geometry. With this said, it is very likely that future iPhones and iPads will feature 3D technology. Moreover, if we consider the fact that rival manufacturers like HTC and LG have already implemented 3D cameras and passive 3D displays onto some of their handsets, Apple should definitely apply the practice. However this invalidates the previous assumptions about so much awaited Apple’s stunning Retina display. Experts claim that Apple will find it quite difficult to part with the Retina display it boasts with so much, so 3D will not be integrated in iPhone 5, but is quite likely to be present in the next iDevices. Moreover, as October seems to be the most likely date of iPhone 5 release, Apple would want to take a little more time perfecting the 3D implementation first…May it be iPhone 5 or not, one thing is clear – Apple has started working on 3D technology and will definitely amaze us with this feature for future releases.